We super-care for your property in the GTA. 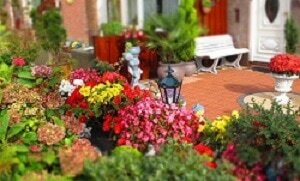 ​Lawn and Garden Revitalization and Maintenance Service. Let us worry about your property landscaping needs with the attention and nurturing you would expect from people who care. When we work for you, we want your lawn and gardens to be the best they can be. We have a generation of experience we would like to extend to you. We promise that customer satisfaction is absolutely #1 to us. ​​One job or year round care, we're ready for it! Taking care of lawns is our business. 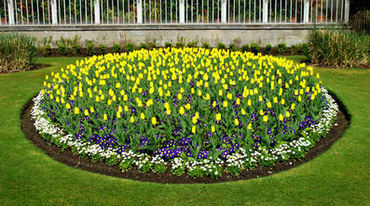 We know that lawns must be trimmed higher in the summer and lower in spring and fall. Services such as raking, dethatching and aeration are usually done as fall nears and we make sure that everything is done so that spring brings beautiful Creating a sculpted look to your gardens by detailed edging of beds, proper soil beds around trees, raised contours and we can help suggest plants and shrubbery that will look great in your garden. ​We handle all tree and shrub work. 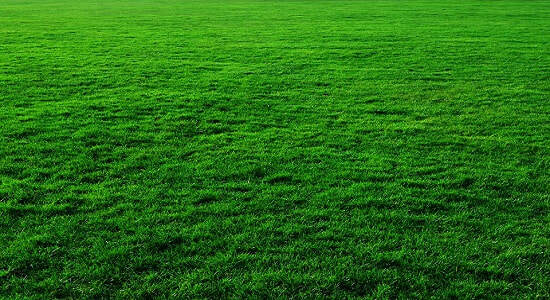 ​Our packages are intended to promote a natural and healthy lawn ecosystem. When the soil has a balance of nutrients, beneficial bacteria and microbes, your grass will have healthy deep roots, and be able to handle foot traffic, heat and drought. It will be strong enough to fight out weeds and reduce the chance of infestations. We can test your soil to see what may be needed to establish a healthy lawn ecosystem. Over time the soil in your lawn becomes compacted, reducing the air pockets that allow nutrients and water to reach the roots of your grass. To combat this, make sure your lawn is aerated annually. Aeration combined with over-seeding gives your lawn the best chance to receive the nutrients and water it needs to grow thick and healthy. We're the local lawn aerator; we will aerate, then over-seed as required. Sodding may be required and can be discussed as part of the health building process. Over time the soil in your lawn becomes compacted, reducing the air pockets that allow nutrients and water to reach the roots of your grass. To combat this, make sure your lawn is aerated annually. Aeration combined with over-seeding gives your lawn the best chance to receive the nutrients and water it needs to grow thick and healthy. We will address sodding if required anywhere. ​Mulch, gravel, decorative stone or any yard material can be delivered and efficiently placed to your specifications or allowing us to use our expertise. Maybe you can’t quite put your finger on what is missing from the landscaping, or maybe you’re having doubts as to what can be done to improve the visual enjoyment. Leave that to us. We will present a simple plan in your budget range to maximize the potential of your property. Adding natural organic mulch to your gardens will not only enhance the appearance of them, it will also provide many benefits. A 4 inch layer of mulch will shade out unwanted weeds, keep the soil moist, protect the root system from drastic temperature changes and as it naturally decomposes, the much will add beneficial nutrients and bacteria to the garden soil. 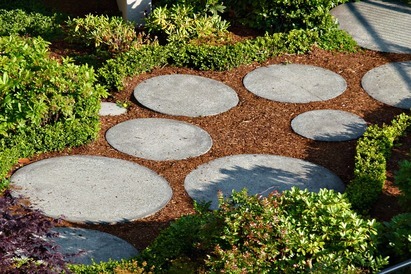 ​We can suggest and provide plants and specimen trees for gardening. Whether it's a big yard or you need landscaping ideas for a small yard, we can give you a handful of them. See DECKS AND FENCES for for your new or refurbished backyard. We know folks are busy and jobs like yard clean up can be a daunting and time consuming job, yet it is a necessary project for homeowners. Gardens, lawns, walkways, you can even consider house cleaning as part of the spring rite. So why not look to us to get the work done. As part of the early maintenance we can make your entire property look immaculate, especially if power washing is included. Believe it or not we enjoy spring clean-up. Leaves, debris, fallen branches and foliage will be bagged and discarded; we provide the necessary cleanups to maintain your yard. We want to make your place look beautiful. ​ By the hour, by the job, or by the season.